Alex Sanchez Galvan, Annika Jorgensen, & Kayla Yee. 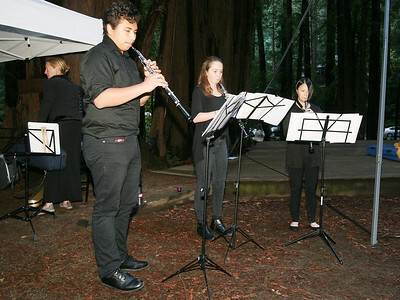 an Oboe Trio from Marin School Of The Arts, perform as a prelude to the Marin Aerial Dance performance in Old Mill Park as a benefit for victims of the North Bay Fire on Saturday, November 18, 2017. 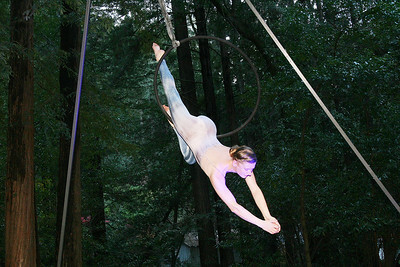 Emma Ross performs an Aerial Fabric Dance routine in Old Mill Park as a benefit for victims of the North Bay Fire on Saturday, November 18, 2017. 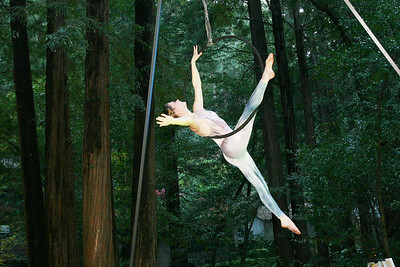 Logan Ramsey performs an Aerial Fabric Dance routine in Old Mill Park as a benefit for victims of the North Bay Fire on Saturday, November 18, 2017. 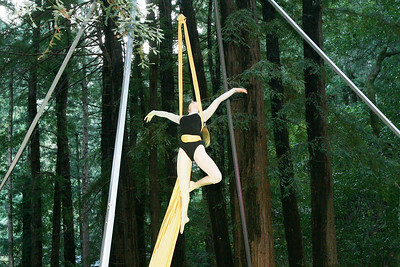 Layla Tripod performs an Aerial Fabric Dance routine in Old Mill Park as a benefit for victims of the North Bay Fire on Saturday, November 18, 2017. 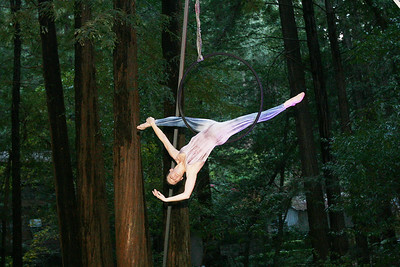 Helen Fitanides performs an Aerial Hoop Dance routine in Old Mill Park as a benefit for victims of the North Bay Fire on Saturday, November 18, 2017. 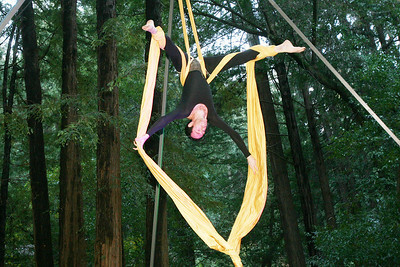 Having begun Aerial Dance eight years ago, Helen explains, " It has changed my life... it's amazing. I teach now, all the while encouraging others to come into the field." When queried on the prospect of aspiring to a larger troupe such as Cirque Di Soleil, Fitanides counters... "Absolutely not... I have reach my pinnacle... I like working 20 feet and under as it keeps me closer in touch with the people in the audience." 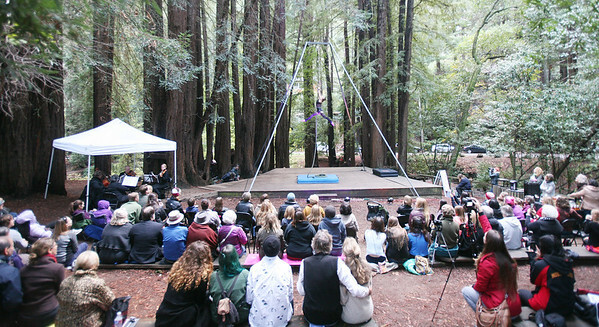 Close to a hundred people braved the chilly air to enjoy members of Marin Aerial Dance perform routines in Old Mill Park as a benefit for victims of the North Bay Fire on Saturday, November 18, 2017.